Over the course there is a massive range of wind strength and direction. The kite size that you need at gate 3 can be size 20mtr where as gate 1 often a 9mt kite. Often the wind can drop to nothing and then you need to pack your kite and walk or skate to a small hill to get it up. The person that can hold the biggest kite does the Best. Along with the knowledge needed to read the terrain. Experience counts for Alot as does the ability to ride fast for 5 hours and Maintain the speed and concentration. Then on addition there are 350 other kites that you have to avoid on the startline and at the gates. 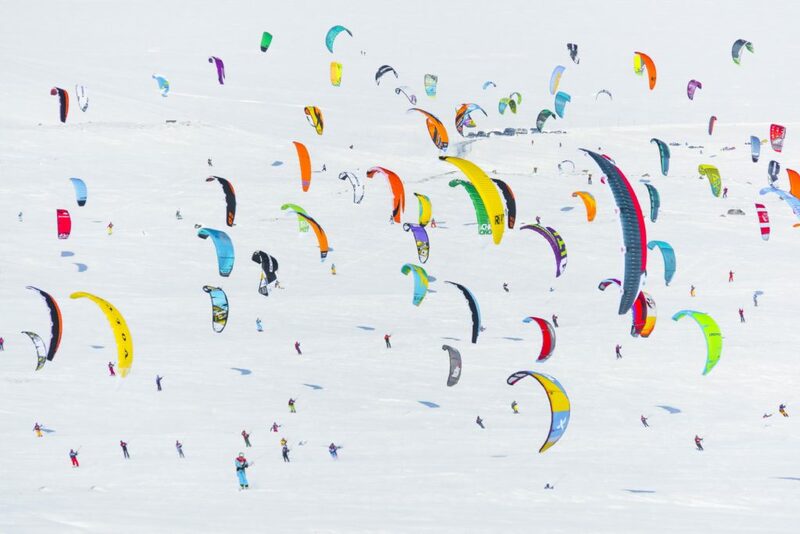 Snowkiting as a sport is next level everything from hamgtime, drifting, incredible speeds, tactical terrain knowledge, adventure, powder skiing and this inanae feeling of being in the middle of nowhere with such beauty. 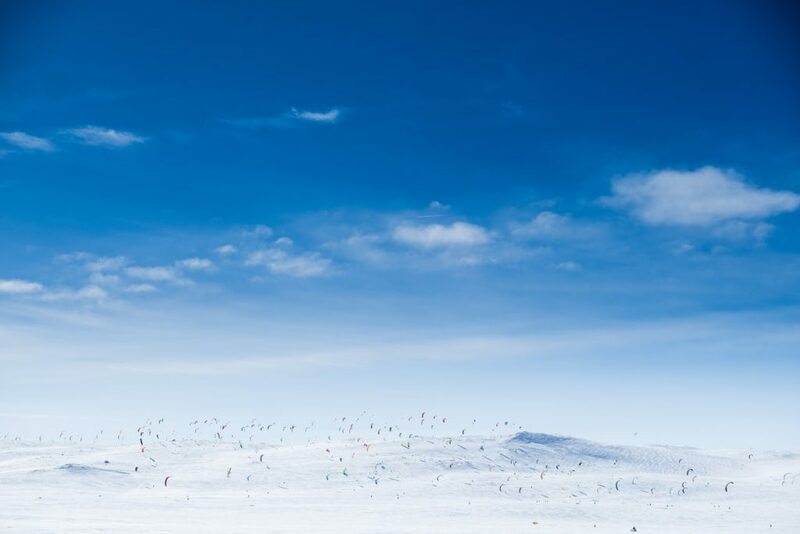 There is so many areas to the sport, it is great to kite up high, pack the kite then ski down. There is a good competition scene which is growing. 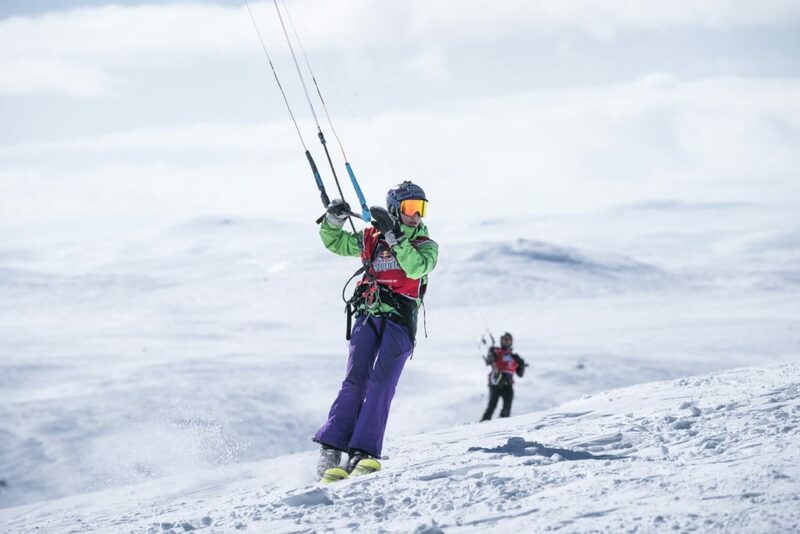 If you like kitesurfing and snow sports then hook yourself a trip to Norway to get the grips of snowkiting. You will then realise why we come back each year.